Do you know that there is a place where you can meet a primitive nature in Japan? Some of you think that Japan is a country with metropolitan cities, of high technology, or of temples and shrines. However, there are several areas which have primitive nature. Today, I’m gonna introduce one of the places in which you can enjoy beautiful primitive nature: Yakushima island! 1 Introduction: What Yakushima Island is about? 4 (3) The sea enough beautiful that sea turtles live in. Introduction: What Yakushima Island is about? Yakushima (屋久島) is a remote island which is a part of Osumi islands in Kagoshima prefecture, Kyushu area. It was 1993 when the island gathered people’s attention, because the island was registered as World Natural Heritage site, at the same time as Shirakami mountain range. Since then, the island has been attracting people all over the world as a popular tourist destination. 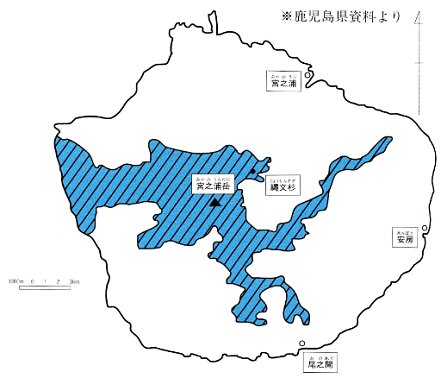 Approximately 20% of the area in Yakushima is a world heritage-listed site. The area has cedars which is hundreds and thousands years old, called Jomon-sugi (縄文杉). It has rich ecosystem, with a variety of plants and untouched nature. Wild animals live as those which live in the area out of human’s reach. Refer to the site: https://retrip.jp/articles/21463/? Shirakami Unsuikyo Ravin (白神雲水峡) is a natural recreation forest with a beautiful old forest. This area is renowned for the model for the Japanese film “Princess Mononoke” by Hayao Miyazaki. You will be amazed by old cedars, mossy rocks, clean and transparent rivers, and other beautiful scenes. Especially, Wilson stump with a heart-shaped hole is a popular site in the area. When you arrive there, go into the hole and look up the sky. You may feel a sacred atmosphere. Don’t forget to have a look at a mysterious root which looks like the hand of a devil, which entangles with other trees around it! Be careful when you plan to visit Shirakami Unsuikyo Ravin in winter. Some public transportation stops during winter, and roads are often closed when the area has heavy snow. For more information on Shirakami Unsuikyou Ravin, visit the site. Yakushima has rich ecosystem, and when you are here, please always keep in mind that animals are the major players of the World Natural Heritage site. All animals live in peace, and few of them attack human for foods, as some in Nikko, a popular tourist destination in Tochigi prefecture do quite often. You’ll see many scenes of dears and Japanese monkeys on a road, not interfering each other. It must be what untouched nature is, and what harmony is about. Mild weather in Yakushima brings biodiversity, and here Yakushima is also an ideal environment for insects and birds. Yakushima welcomes people who are interested its unique nature, and it offers many opportunities to learn about it. It may be a good experience to visit facilities such as Yakushima Comprehensive Nature Park, Yakushima Environmental and Cultural Village Centre, Yakusugi Museum, Yakushima World Heritage Conservation Centre, Yakushima Environmental Culture Learning Centre, and so on. The island has other various facilities which enable you to deepen your knowledge on it. For more information about those facilities, visit the site. (3) The sea enough beautiful that sea turtles live in. The beauties of nature in Yakushima go beyond the land. The sea of Yakushima is also a paradise of various sea animals. Nagata beach, located in north of the island, is one of the foremost spots of spawning grounds of sea turtles. Other beaches are also nice to spend time being relaxed, and you can enjoy some activities such as snorkeling and diving. Thus, the tropical sea in Yakushima gives you opportunities to enjoy as you want! After having fun both on the land and in the sea, you’ll be tired. When you get exhausted, how about going to a hot spring to take care of yourself? Yakushima has several spots which enables you to taking a bath and see outstandingly beautiful nature. Some are communal bathroom in hotels, or public baths. Others are what look very primitive. Hot spring is an important part of Japanese culture, thus let’s try how one looks! For more information about hot spring, visit the site. Need to take photos a bit more? Don’t worry, it’s not a railway that brings you to a different world. It’s a forest railway on the active, called Yakushima Forest Railway (屋久島森林鉄道), utilized for the maintenance of a power plant. Not only tourists but also Tetsudo-otaku(鉄道オタク/ trainspotters) are captivated by the fantastic scenery of the green tunnel. Enjoy the primitive nature in Yakushima island! 15 Must-visit spots in a volcanic island Sakurajima! Harajiri Fall（原尻の滝）― Niagara Falls of the East! Have fun during traveling time in a passenger boat bound for Niijima Island! Ideal tourist destinations for couples in Japan: Part 1 (Hokkaido, Tohoku, Kanto, Koshinetsu and Hokuriku.) Ideal tourist destinations for couples in Japan (Part 2: Tokai, Kansai, Chugoku, Shikoku, Kyushu and Okinawa areas.) Nasu(那須)― One of the most beautiful spots for leaf peeping in Kanto area! A masterpiece of Sapporo miso ramen that makes itself popular across the country! Don’t miss a newly-released ice cream with a perfect collaboration between cream cheese and green tea flavors!